With all of this talk about multi-use moisturizers and carrier oils, sometimes we also want a little fragrance! But sometimes added fragrance is not necessarily good for you. However, when you turn to essentials oils instead of artificial fragrances, you also add all the beneficial properties of the essential oil too! One of my favorite essential oils is lavender, for the variety of uses and for the scent alone! Lavender oil is known to help soothe and heal minor skin irritations. Lavender oil is also known for its anti-bacterial properties, making it a perfect spot treatment. Gently massaging lavender oil into a bruised area of the skin can help promote circulation and potentially encourage faster healing. With its natural anti-bacterial characteristics, it can also be used to treat minor cuts or scrapes. Not only can lavender oil help soothe bug bites, but it can also be used a preventative. Used inside the house, it can also scare off moths when you store your sweaters for the summer. Did you know it was safe to add lavender oil to your baked goods and even your chocolate? A soothing cup of lavender tea can be perfect for your bedtime routine. The scent of lavender is known to help promote soothing and restful sleep. The scent can also help calm frazzled nerves if you tend to be anxious. Massaging lavender oil into the temples and neck can reduce tension headaches. If you are new to using essential oils, lavender oil is one of the best places to start. Do make sure that you test an essential oil in a small area before using too much, just to make sure that it does not cause skin irritation. 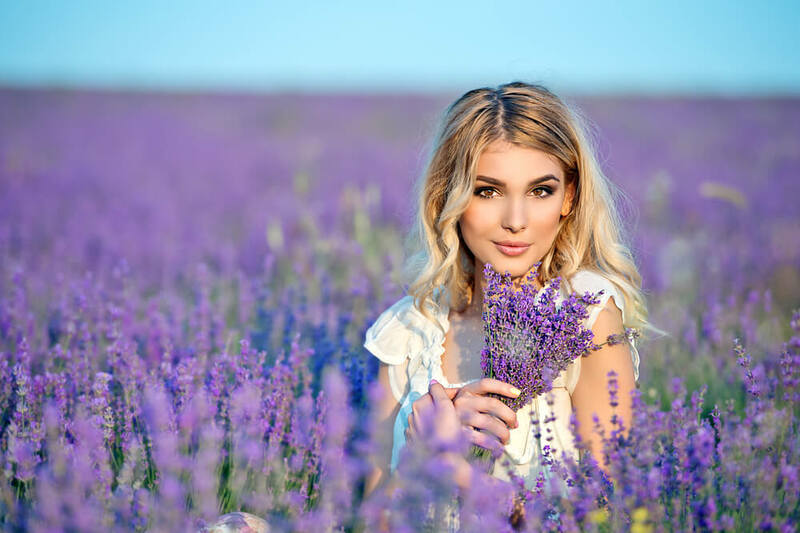 This entry was posted in Beauty and tagged Acne Treatment, Beauty, Beauty Frizz, BeautyFrizz, Bug Repellent, Calming Aid, Drinking, Eating, Essential Oil, First Aid, Fragrance, Headache Relief, health, Lavender, Lavender Oil, skin, Skin Soother, skincare, Sleep Aid, Treatment.